I imagine that Thomas d’Ansembourg’s line of work has offered him much experience for the content of this book. 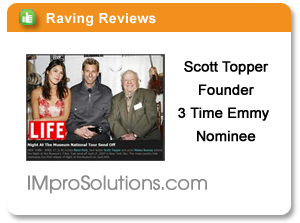 He works with troubled youth. Notorious for masking their feelings, at risk youths usually come with a repertoire of skills designed to hide painful admissions and cloud communication. 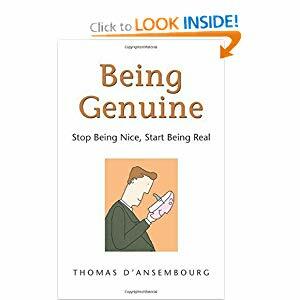 Thankfully, d’Ansembourg is onto them and shares this knowledge with us in helping to improve our communication style in Being Genuine: Stop Being Nice, Start Being Real. Although translated from French, the text is immensely readable in English. The author argues that clear communication is not helped by masking our real feelings with nice pleasantries. More often than not this prevents successful discourse. Conversely, genuine communication requires clear language and a true acknowledgement of one’s real feelings about a situation. If we don’t acknowledge our feelings we cannot effectively communicate what it is we want or need in an understandable way. Again, anybody who has worked with at risk kids knows of their highly elaborate defense mechanisms for concealing their real feelings, Most often this attempt to please or be nice not only hinders communication, it often results in an explosion of violent interactions when the child reaches a breaking point after not having his or her needs met. d’Ansembourg’s delightful style makes this an enjoyable and helpful addition to any person’s resources for improving communication.